Nuda is one of the hardiest bamboos. New culms emerge purplish green, eventually lightening to match the leaf color. It has dark green culms with a bright white ring at the node. 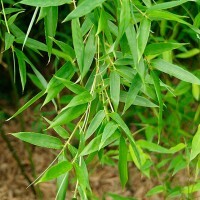 The leaves are also darker than most other bamboos. 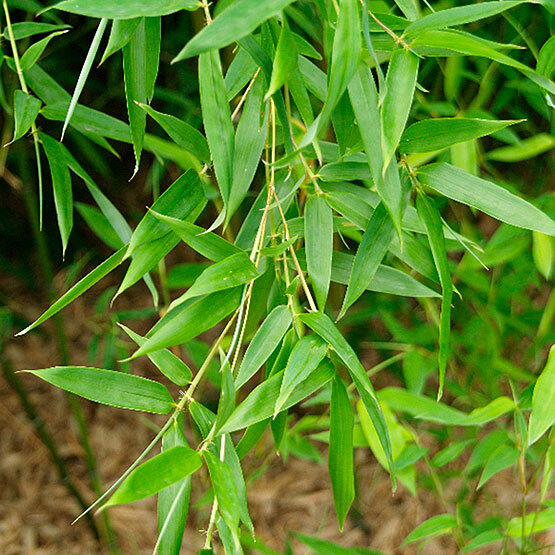 This is a running bamboo, so take precautions for restraint; read our blog entry on controlling bamboo. Though it is reluctant to spread into very dry soils, it is resistant to some drought. Typical diameter is about 1-2" wide.